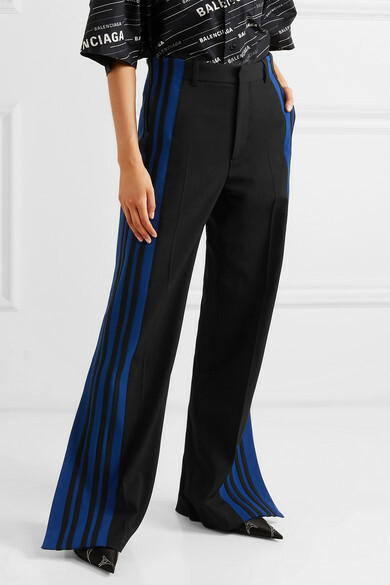 Balenciaga’s track pants have been made in Italy from black stretch-crepe and have striking blue side stripes. 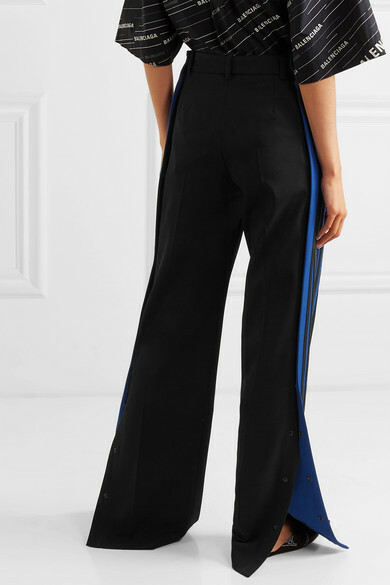 They're cut to sit high on the waist and for a relaxed fit. 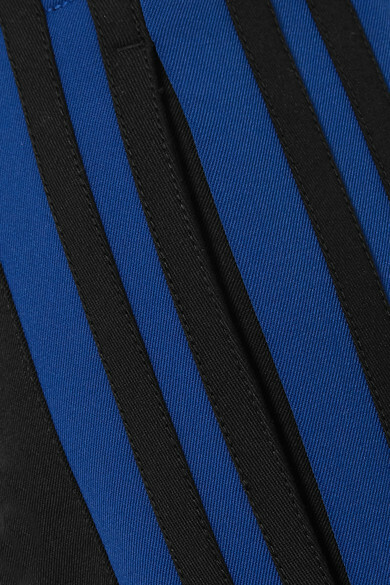 The wide cuffs will look equally as cool with mules and they will with sneakers. 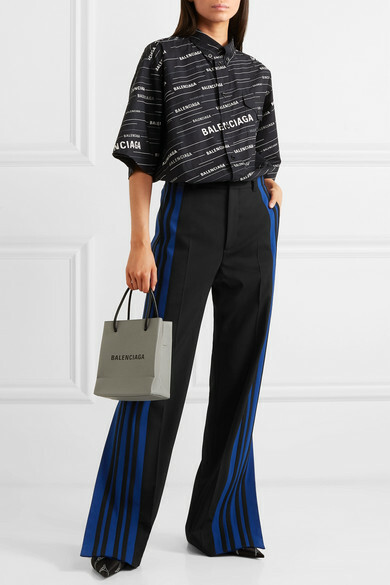 Shown here with: Balenciaga Shirt, Balenciaga Tote, Balenciaga Mules.